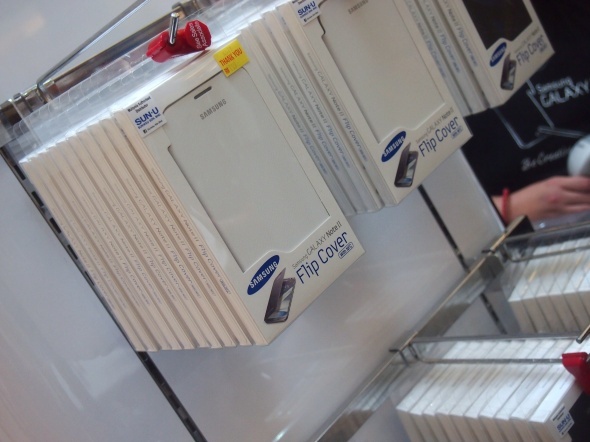 I’m sure this weekend will a buzy one for some of you who wish to get the Samsung Galaxy Note II. 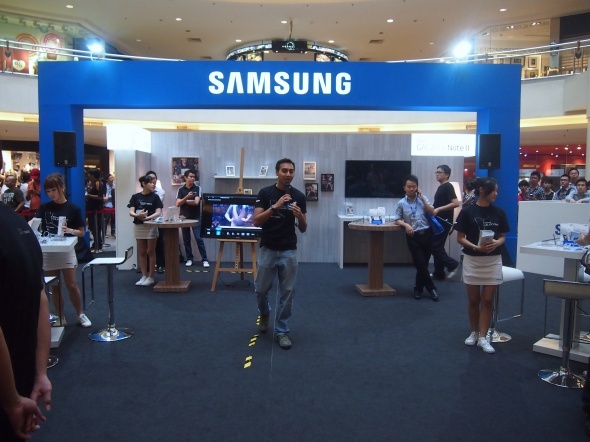 Earlier today, Samsung held a consumer launch event in Center Court, Mid Valley that gave away freebies and more. 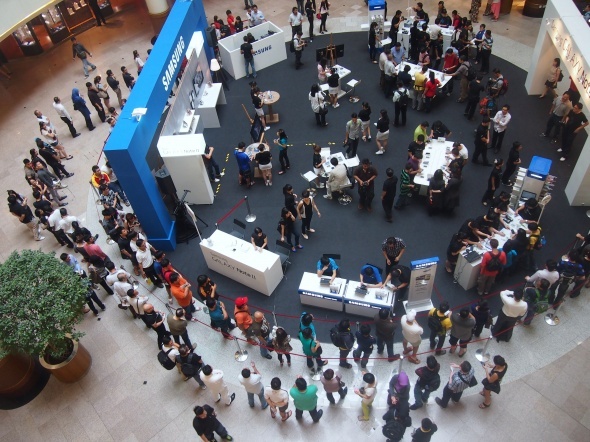 Theroadshow will be going on until Sunday, 21 October 2012 and if you wish to get yourself a brand new Galaxy Note II, you know where to go. 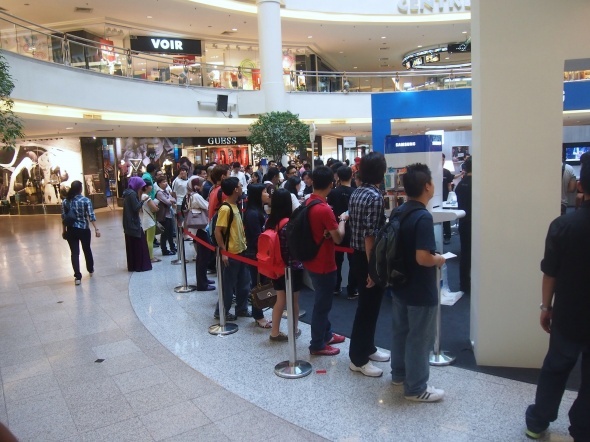 Unfortunately though, I’m sure most of the freebies would’ve been snagged up by now – free extra battery and desktop charger worth RM189 for the first 50 customers, free flip case worth RM149 for the next 50 customers and free Starbucks voucher for the next 100, but do visit the roadshow to touch and feel the Note II, Samsung is even conducting a workshop that teaches you how to fully utilize the 5.5” phablet. 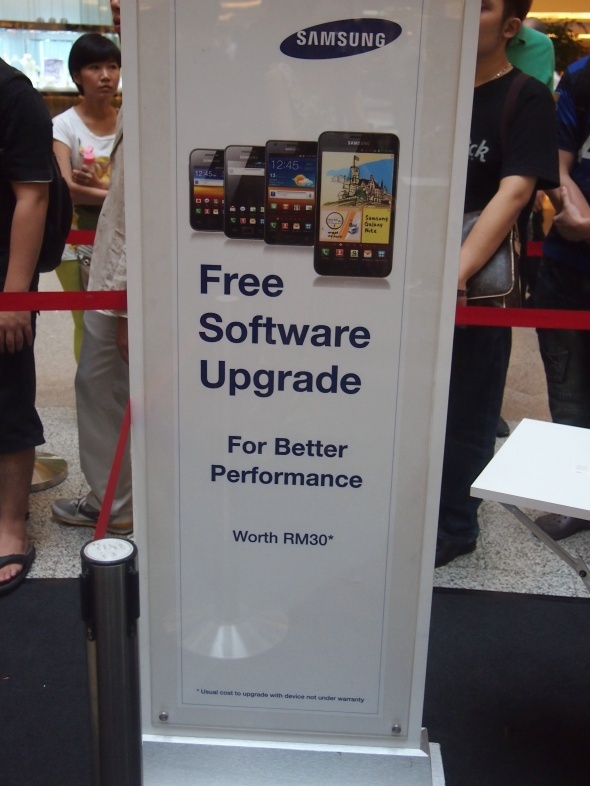 If you do not happen to be in town or do not wish to drive all the way to Mid Valley only to get stuck in the parking lot, all Senheng and senQ nationwide are also offering the Galaxy Note II. Purchase it with Senheng or senQ and all Plus One members will receive 1 year extra warranty. But that’s not all, from now till 18 November 2012, you will also receive a contract free DiGi prepaid SIM pack with 5GB of data which is valid for 12 months. Payment wise, the company is also offering 0% interest payment plan of up to 36 months, hit the break for more information about Senheng and senQ’s offer. The phablet is also available with other Samsung Elite partners nationwide but if you do not wish to pay the full price for the device, purchase it with a contract from our local telcos – Maxis, DiGi or Celcom, and get it at a subsidized price. Maxis is offering it from as low as RM1,399, DiGi is also offering it at RM1,399 and Celcom from RM1,498. DiGi provides free delivery so you can shop at the convenience of your cosy seat in front of your computer and wait for the device to be delivered to you, while Celcom is also having its very own roadshow that can get you more freebies. Hit the break for a price comparison between all the telcos. Happy shopping!